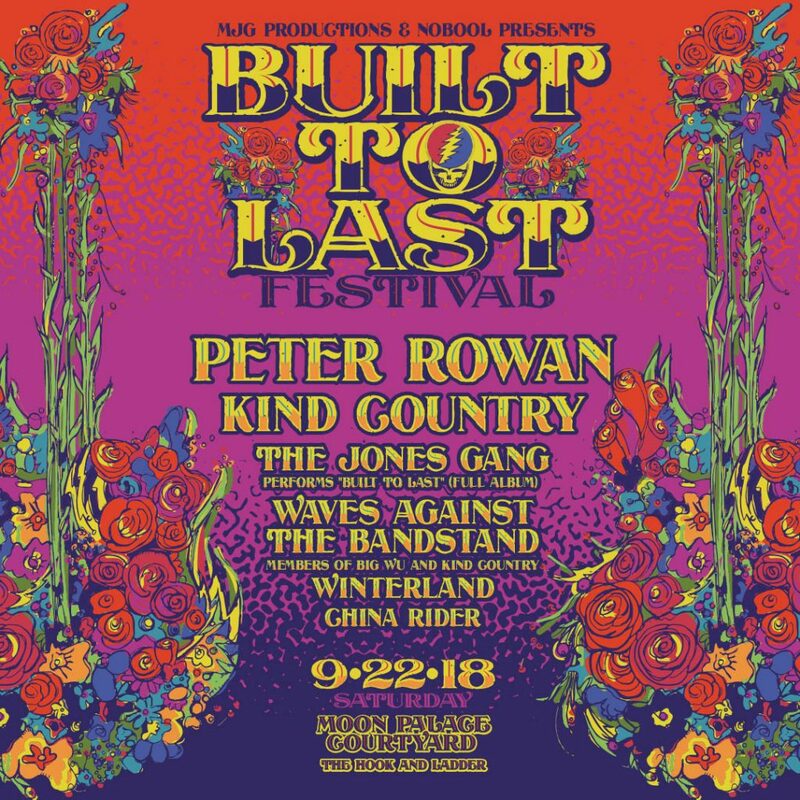 A multi stage festival event celebrating the music of The Grateful Dead featuring the legendary Peter Rowan, Minnesota’s hottest jamgrassers Kind Country, plus a gathering of the Midwest top Dead tribute bands! VIP option includes a Hang Session with complementary beer and food from Geek Love Cafe and special performances by Peter Rowan & Kind Country. After the sun sets, the festival After-Party moves inside The Hook and Ladder Theater featuring the All-Star band Waves Against The Bandstand (featuring members of Big Wu, Kind Country and more), Winterland (Iowa), and China Rider (St. Cloud). Refillable water bottles are encouraged. Bring your own chairs. Please no dogs, large bags or umbrellas! In addition to the live performances, this year’s Built To Last Festival will showcase a wide variety of local artisans showing off an eclectic array of work, from paintings, illustrations and recycled art to jewelry, textiles and much more. Geek Love Cafe will be cooking up a storm. Stay tuned for the special menu! Since it’s Built To Last, we will implement the Zero-Waste initiative, using only 100% compostable and recycled materials. In addition, one stage is solar-powered! Bring your reusable water bottles. Ice cold tap water will be supplied by the City of Minneapolis.